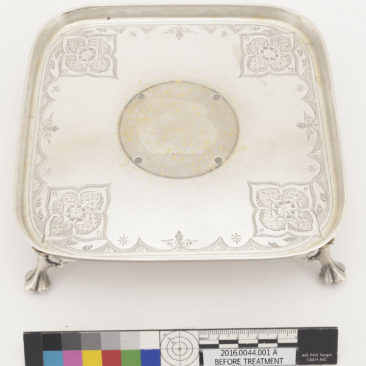 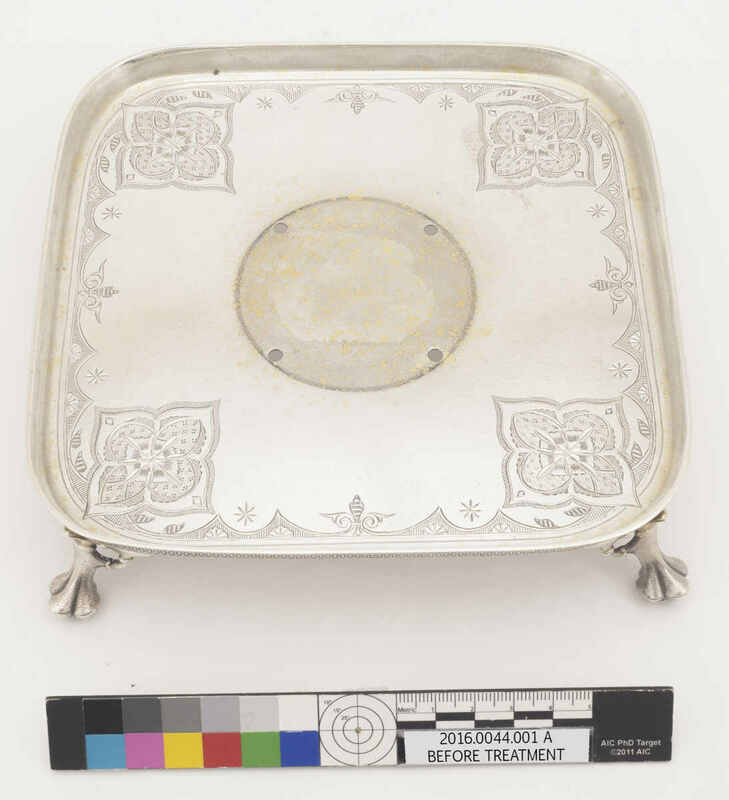 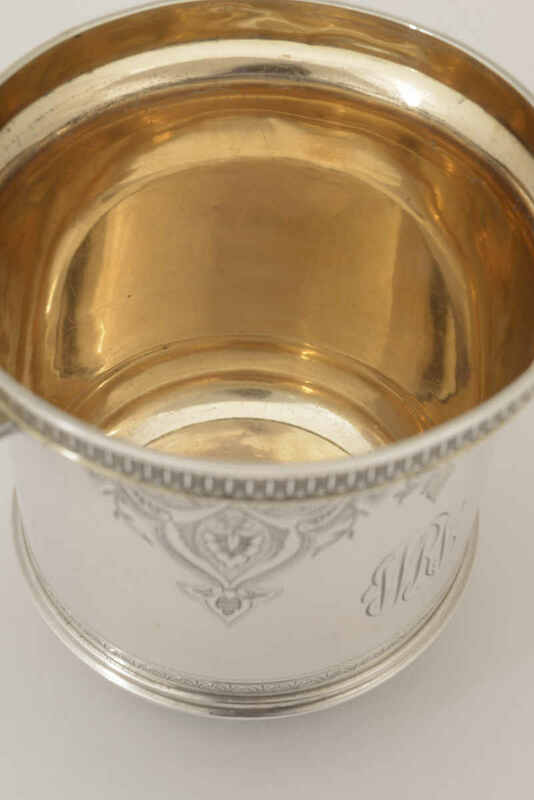 The first documented purchase of silver by H.F. duPont was in 1924 - the start of a lifelong passion for collecting late seventeenth- and eighteenth-century American silver "for decorative purposes" in his house. 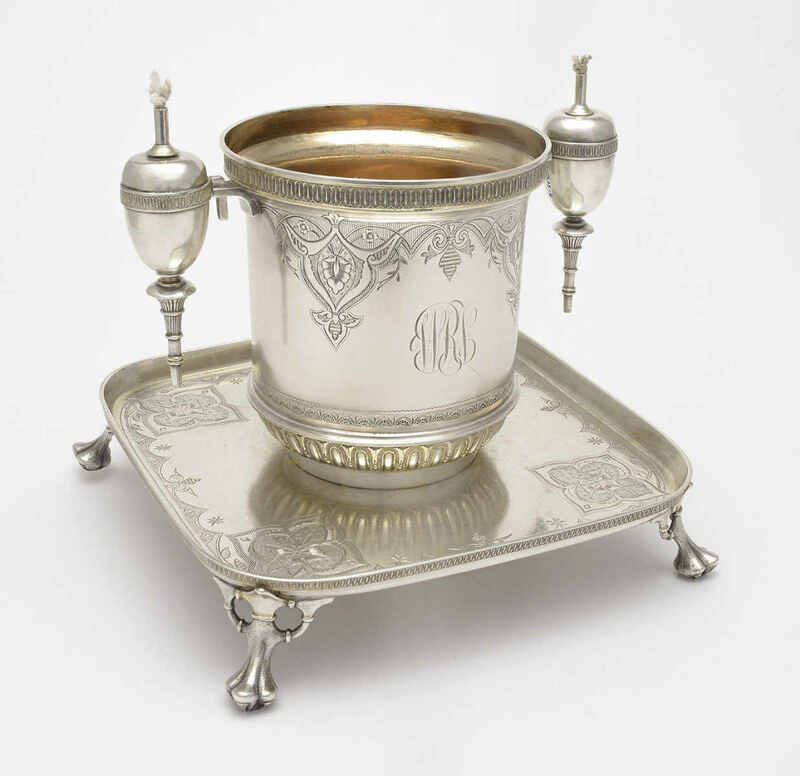 The Winterthur collection has since grown to include more modern silver items ideal for teaching purposes, including this intriguing ensemble. 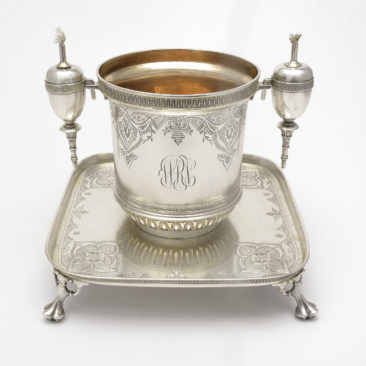 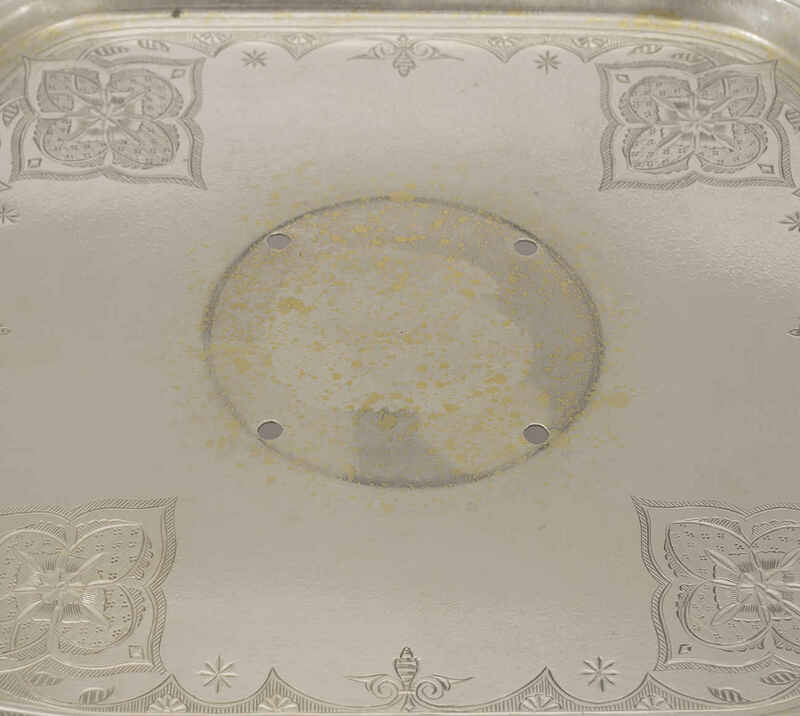 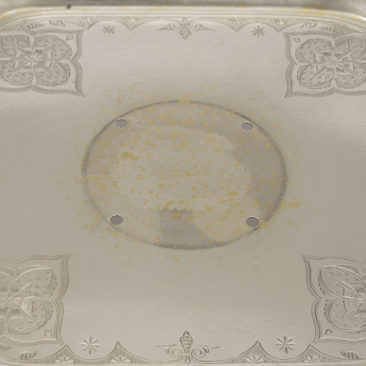 Made by Tiffany & Company, this footed tray and vase, with its two detachable oil lamps, is actually a receptacle for cigars. 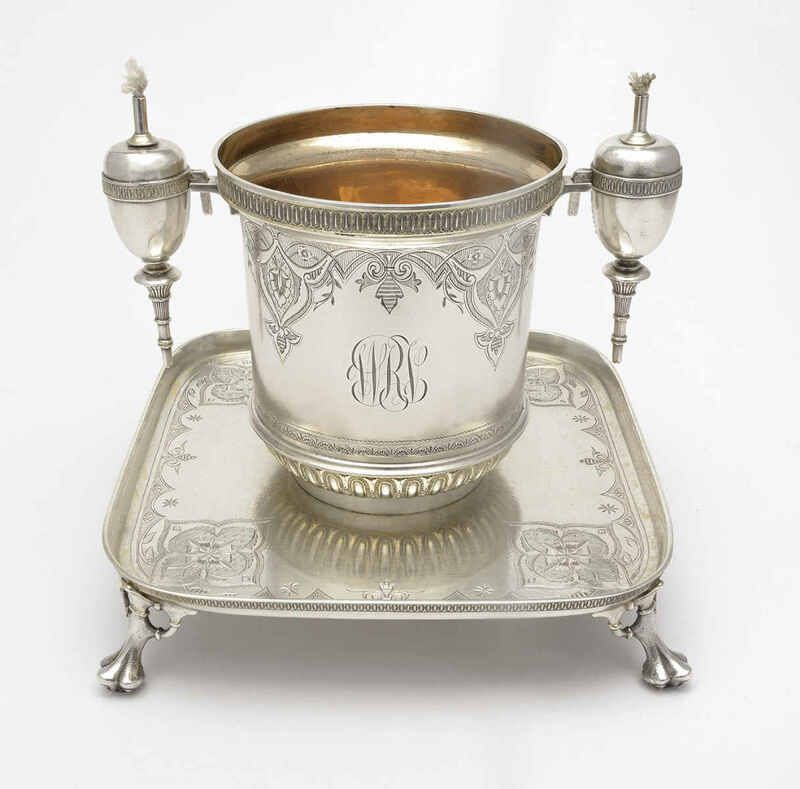 In the late 1800s, smoking was considered a masculine activity, and specialized items like this elaborate cigar holder were suitable gifts for a refined gentleman. 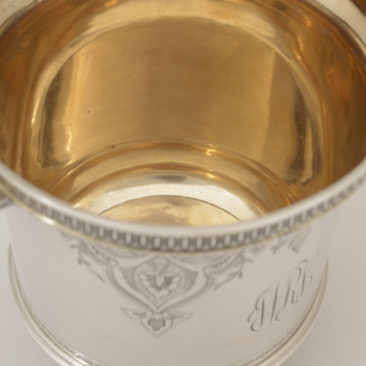 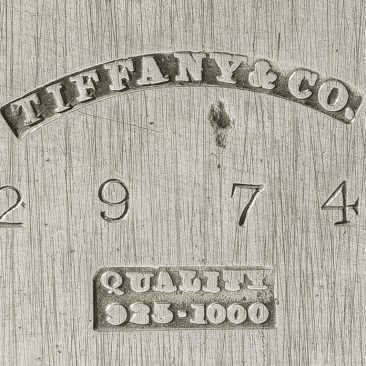 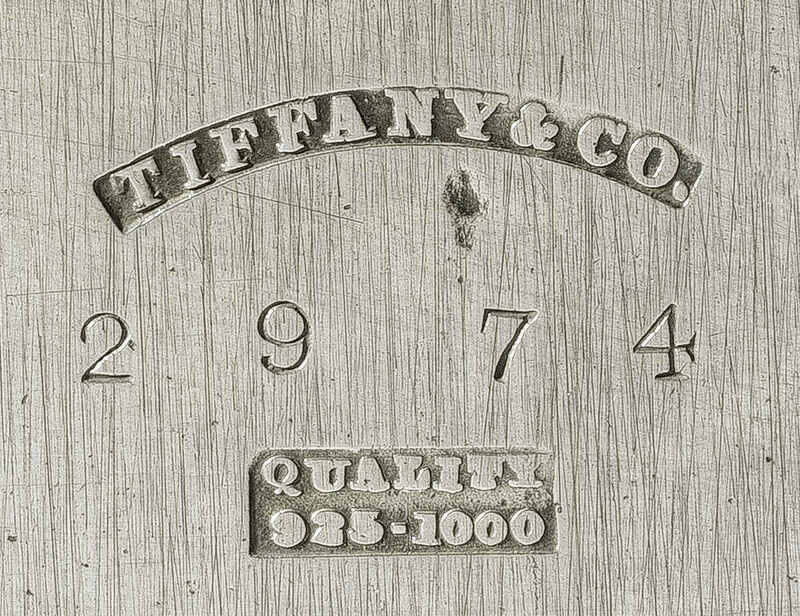 The delicate but intricate engraving in the "Persian" style was popularized by Tiffany & Co. in the early 1870s. 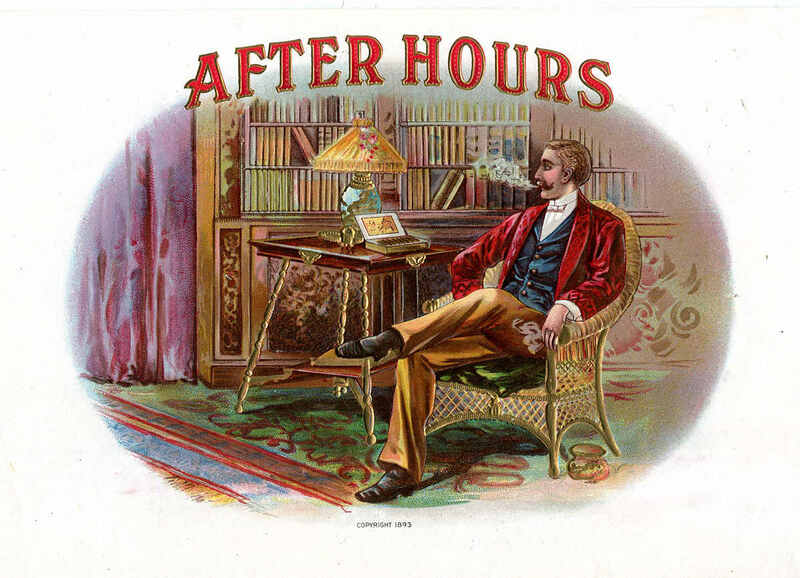 The object was perhaps destined for use in a gentleman's club or newly fashionable "Turkish smoking room".